"Unflod Baby Panda" iOS Malware Detected on Jailbroken Devices! “Unflod Baby Panda” iOS Malware Detected on Jailbroken Devices! Beware jailbreakers, your device is prone to a serious malware! Reported by the security firm, SektionEins, a malware called Unflod Baby Panda has been discovered on jailbroken iOS devices. This malware is sending your Apple ID and password to servers based in China. The security firm has run a quick analysis and has shared the following report. SektionEins has shared that it is not yet clear how this malware has ended up on the jailbroken devices, however, the involvement of Chinese pirate repositories is being suspected and discussed over reddit. The malware is signed with an iPhone developer certificate registered to a WANG WIN identity. On 17th April 2014 a malware campaign targetting users of jailbroken iPhones has been discovered and discussed by reddit users. This malware appears to have Chinese origin and comes as a library called Unflod.dylib that hooks into all running processes of jailbroken iDevices and listens to outgoing SSL connections. From these connections it tries to steal the device’s Apple-ID and corresponding password and sends them in plaintext to servers with IP addresses in control of US hosting companies for apparently Chinese customers. Users of reddit have made this malware available to the public, which allowed SektionEins to perform an analysis of this threat. However so far only the malware itself has been found and until now it is unknown how it ends up on jailbroken phones. Rumours that Chinese piracy repositories are involved are so far unverified. 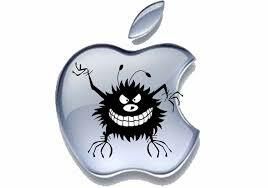 On your jailbroken iOS devices, you can check if your device is infected by this iOS malware using iFile. Go to this folder: /Library/MobileSubstrate/DynamicLibraries/ and check for a Unflod.dylib library. To be on safe side, change your Apple ID password and enable two-step verification. And of course, please try to stick with trusted repositories and avoid installing from untrusted sources.